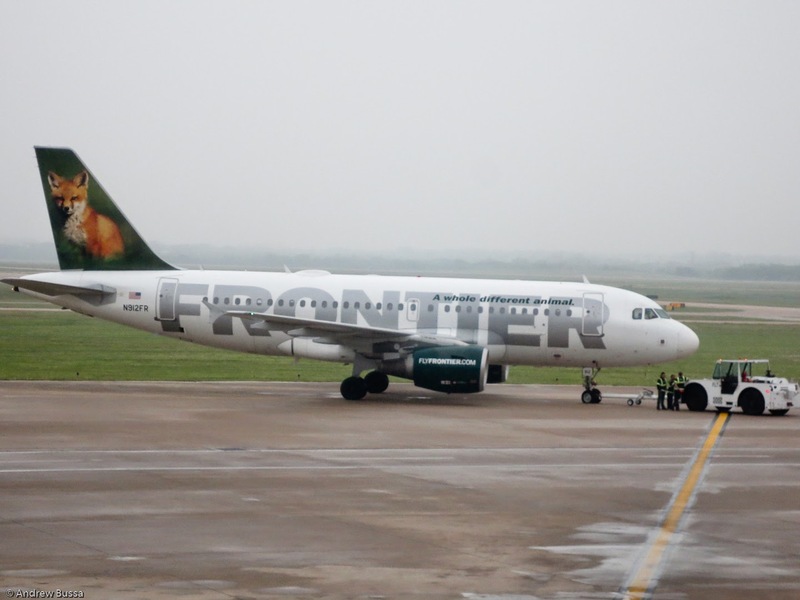 Frontier was sold last year to the company that turned around Spirit Airlines and then sold it for large pile of money. 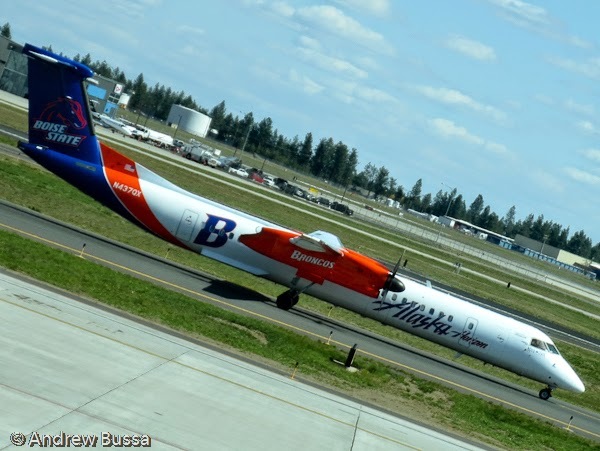 Frontier’s parent company seems to be trying that model again by making Frontier into a new Spirit. They will still not offer perks to people buying tickets purchased anywhere but flyfrontier.com, but now those tickets come with less. 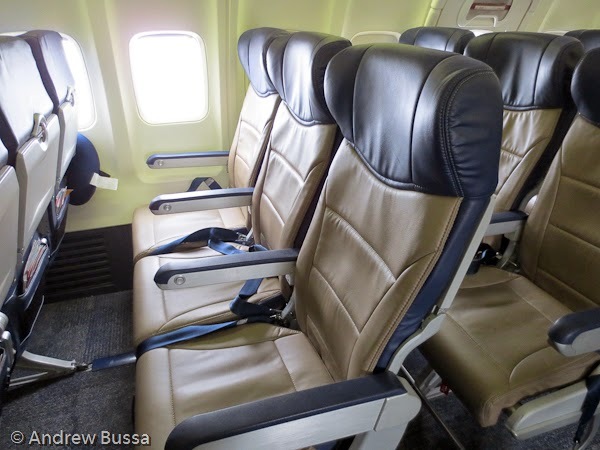 The full fare Classic Plus is unchanged and now there is only one other option, Economy. The Economy ticket price includes your flight and one personal item that will fit under the seat. Then, you pay for the add-on choices you want, such as: 1st Checked bag – from $20 (just $15 if you join Frontier’s Discount Den), Carry-on bag – from $25 (just $20 if you join Frontier’s Discount Den), 2nd Checked bag – from $30, Ability to choose your seat starting at $3 on every flight. 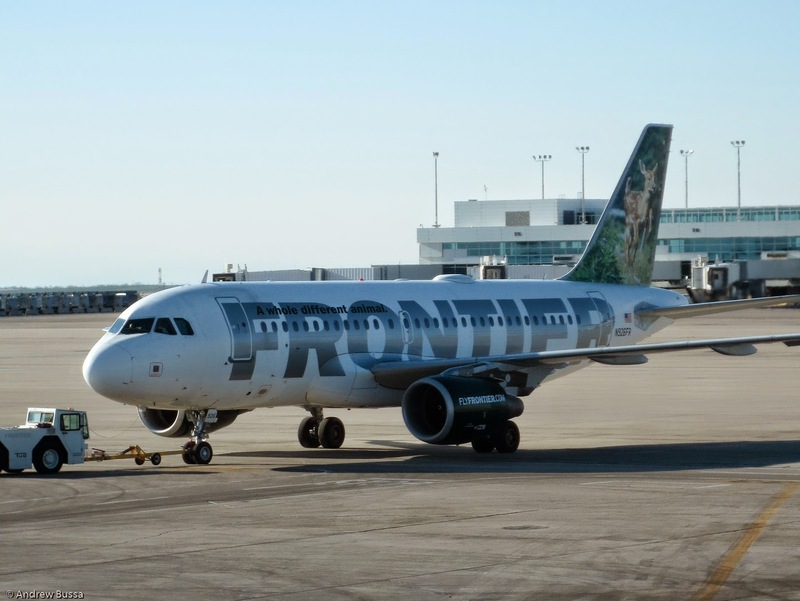 Frontier's Discount Den (sounds like Spirit’s $9 Fare Club): Together with these changes, we are introducing Frontier's Discount Den, a club whose members can receive discount fees on bags and access to ongoing promotional savings opportunities. Frontier's Discount Den members save $5 off their carry-on at time of booking and $5 off their first checked bag at check-in. Membership is free through June 2015 for all EarlyReturns® members, so sign up today. Then, log in to your EarlyReturns account to start saving! I spotted my first US Airways plane in American Airlines paint. N809AW was in the US Airways fleet (AW stands for America West, the airline that took over US Airways and now American), but recently received a fresh coat of paint. US Airways is making very fast progress. Four Seasons would like to invite the very rich, but not super rich to take a trip around the world with them on a chartered 757. The $30M mark is when people start contemplating buying a jet (Embraer Phenom 100 or HondaJet for starters) or joining a fractional ownership program (NetJets). So the target market here is couples that can easily afford the $119,000 a person cost, but not quite pay to go private and avoid other people while completely controlling their itinerary. It looks like a decent itinerary, but there are a few stops I could miss, so I won't be going. Each ticket includes a Rimowa Salsa Deluxe Hybrid Cabin Multiwheel suitcase, a $695 value; so there's lasting value to the trip. 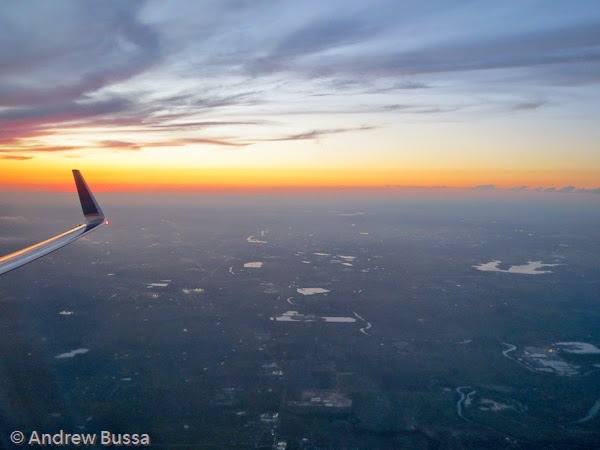 Bing Rewards now earns now lets you earn airline miles. Assuming you are a gold Bing member, it's easy and warns you discounted awards, you can earn 100 miles for 385 points. A $5 gift card to Amazon or Starbucks is 475 points, so you are buying points at about 4c per mile. That's too expensive for me, but it could be useful to top up an account or reset an expiration date. Redeem your credits and get 100 points/miles for your favorite frequent flyer, hotel or retail loyalty program. Participating programs include American Airlines AAdvantage®, Frontier Airlines EarlyReturns®, Hawaiian Airlines® HawaiianMiles®, Icelandair Saga Club, IHG® Rewards Club, LifeMiles, My BestBuy™ Rewards, SVM FuelCircle, US Airways® Dividend Miles® and Virgin Atlantic Flying Club. 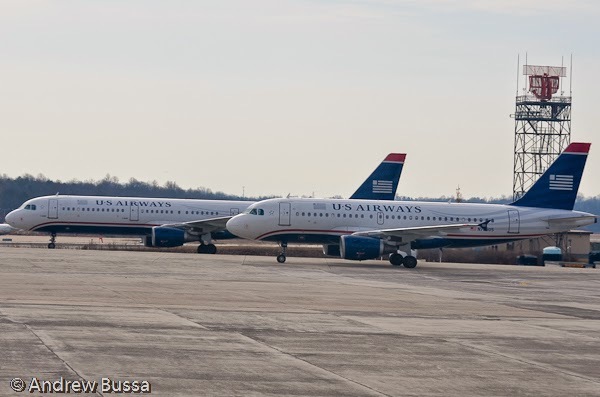 US Airways is quickly updating the paint on their aircraft to the new American scheme. It'll happen quickly so enjoy their good looking planes while you can. There are still AirTran and old United schemes flying around, but US Airways updates much faster. Frontier flight 221 had a flight tire in Austin yesterday. The flight was scheduled to leave Austin at 6:55 and arrive in Denver before 8:00; instead it landed at midnight. I've never seen an airplane with a flat tire, this was quite novel. I was also thankful I was on the United flight to Denver 30 minutes later. 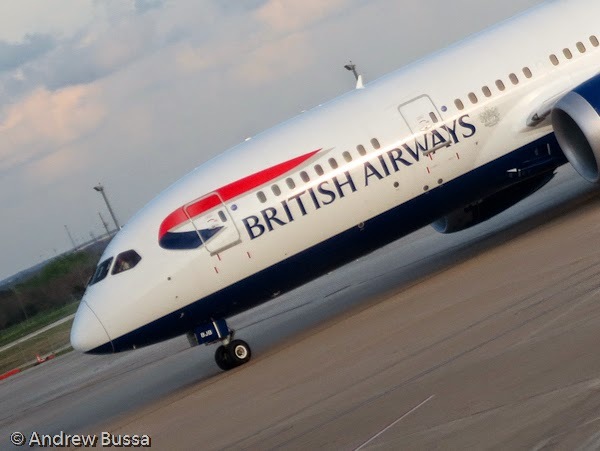 British Airways miles (Avios) can now be used to buy experiences on the ground. There are dozens of tours, excursions, boat rides, and other fun activities you can do around London and pay for with miles. Denver is less lucky and only has airport transfers available. These could be good value too at 1-2c a mile in the few I priced out in cash. Even better, there are no fuel surcharges or UK air duty taxes to pay on these redemptions (taxes and fees turn a free round trip to London into a $400+ trip). Avios can also be used for car rentals and hotels, but that isn’t terribly noteworthy. Private jet carriers aren't always able to sell every leg they fly, so Jet Suite and others try to sell empty legs online to the proletariat. This could be an amazing bargain if the cities and dates align, or it could just be funny. Take the flight from Van Nuys to Burbank. It's a 20 minute drive and about 9 miles. There was also a flight for 4 from Las Vegas to Salt Lake for $536, that's cheaper than Delta's last minute prices. I signed up for text alerts in case there's something from the Denver area to anywhere; I think it would be fun to fly private, the destination won't matter (but it will need to be more than 9 miles away). Use code CHDENKA for a two month free trial of Clear, a short cut through airport security lines. Sign up at clearme.com. Global Entry might be the better deal because it comes with PreCheck, but if Clear is at your home airport, it's worth a trial. The Sydney Morning Herald has the best travel section I have found. Their largest weakness is a fondness for the Queensland and Northern Territory Aerial Service (Qantas), no matter what. Qantas recently devalued their frequent flyer program, but it's a good thing according to their article. 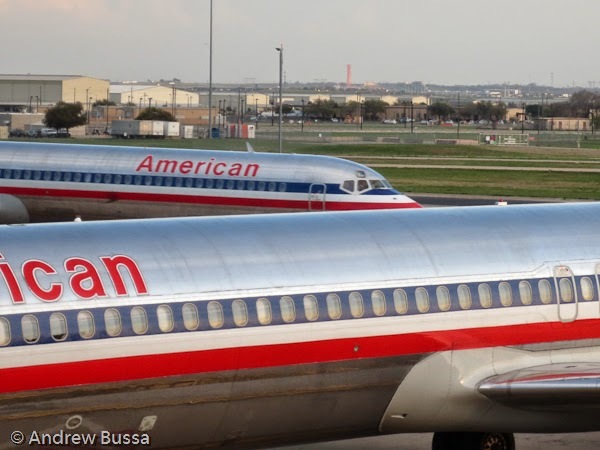 American Airlines has the best intra-Australia awards (10,000 coach or 17,500 first one way) and British Airways is great value for short direct trips (starting at 4,500 miles), but the story only suggested Virgin Australia as an alternate option. I enjoy SMH articles, but it would be nice if they think outside Australia for points programs and say a negative thing about Qantas once a decade. 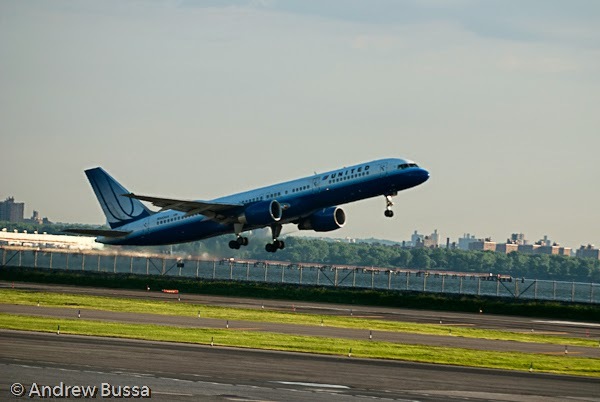 More funny than insightful, the NTSB is warning pilots about "Landing at the Wrong Airport." 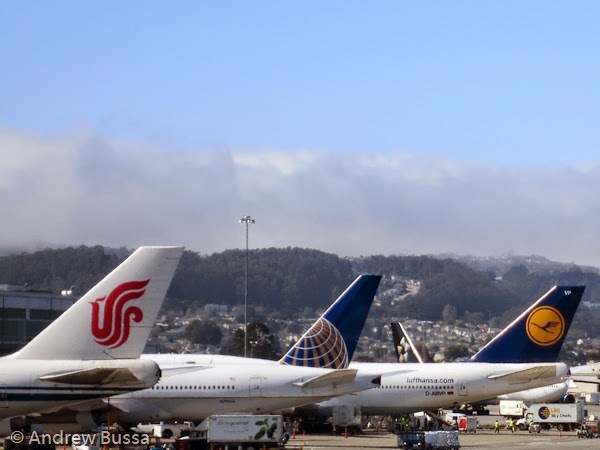 Flight crews are recommended to "confirm that [pilots] have correctly identified the destination airport before reporting the airport or runway is in sight." Sounds pretty basic, but someone thought this bulletin was needed. Other gems the NTSB could publish include Adding Enough Fuel, What Runways Look Like, or Why Altitude Is Important. 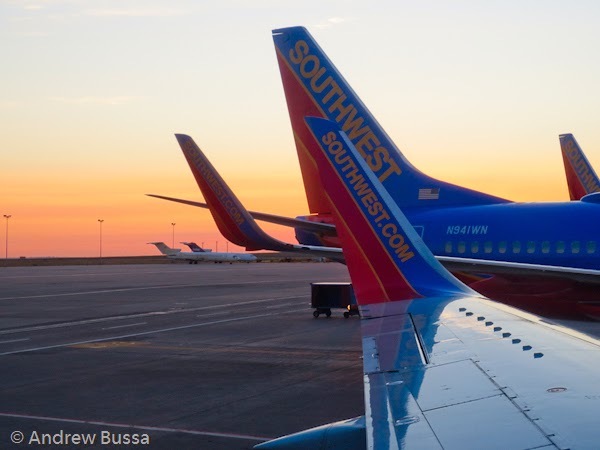 Southwest has caught the industry wide craze for slim seats. Lucky for Southwest flyers, they are installing comfortable models on their 737 fleet. United, American, Lufthansa, Austrian, etc. are installing a different style with the magazine holder above the tray table and all padding removed. Add in free TV in flight (bring your own fully charged device) and Southwest looks like a great way to see the country. Brussels Airlines, the Belgian national airline, announced today the opening of a new scheduled flight route between Brussels and Antarctica during the winter season. A first in the history of aviation. As part of its new commercial strategy, Brussels Airlines adds Antarctica to its network to offer an even wider choice of destinations from its hub, Brussels Airport. Between October 27, 2014 and March 29, 2015, it will be possible to visit this continent with its unique landscapes. The new destination is announced just after the addition of 11 other new destinations earlier this year: Ajaccio, Athens, Bari, Bastia, Cagliari, Figari, Krakow, Malta, Montpellier, Sevilla and Warsaw. The Antarctic continent, previously unknown to the general public, contains an immeasurable wealth: its fauna and flora consist of many fascinating species. In addition, it is a beacon for scientists from around the world. Tourists have the choice between many activities: snowshoeing, cross-country skiing, taking a sea cruise or visiting the Princess Elisabeth base, the Belgian scientific polar research station in Antarctica. Brussels Airlines will operate one flight per week (Sundays) between Brussels Airlines and Antarctica with an Airbus A330. 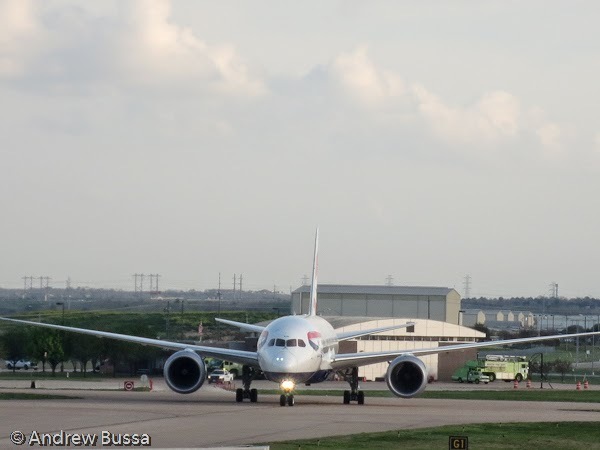 In order for its operations to proceed as efficiently and safely as possible, the airline has invested in the construction of a runway on which the aircraft will be able to land on its wheels. The flight makes a technical stop in Luanda (Angola), one of Brussels Airlines’ 19 African destinations. The intermediary landing is necessary to refuel the aircraft and provide new catering, but also to do an exchange of cabin crews. At the occasion of the opening of this new route, the uniform has been adapted and features (faux) fur to deal with the cold temperatures upon arrival. Brussels Airlines is working closely with a renowned hotel chain to open a hotel in Antarctica to accommodate its passengers. There is a real demand for this destination, both for tourists and for scientists. Brussels Airlines will be the first company to offer scheduled flights between Europe and Antarctica during the winter season, which is paradoxically the least cold period of the year on the continent. CALGARY, April 1, 2014 /CNW/ - WestJet today announced it is changing the way it displays its flight schedule, switching from its current system of "a.m." and "p.m." to metric time effective immediately. "This has long been a source of confusion for a number of our guests," said Richard Bartrem, WestJet Vice-President, Communications and Community Relations. "Some are used to the traditional 'a.m.' and 'p.m.' designations while others live their lives on the 24-hour clock, particularly those with medical, military or law enforcement backgrounds. The confusion stems from the fact there is no one universally-accepted way to express time and as a result, unfortunately, sometimes guests miss their flights. 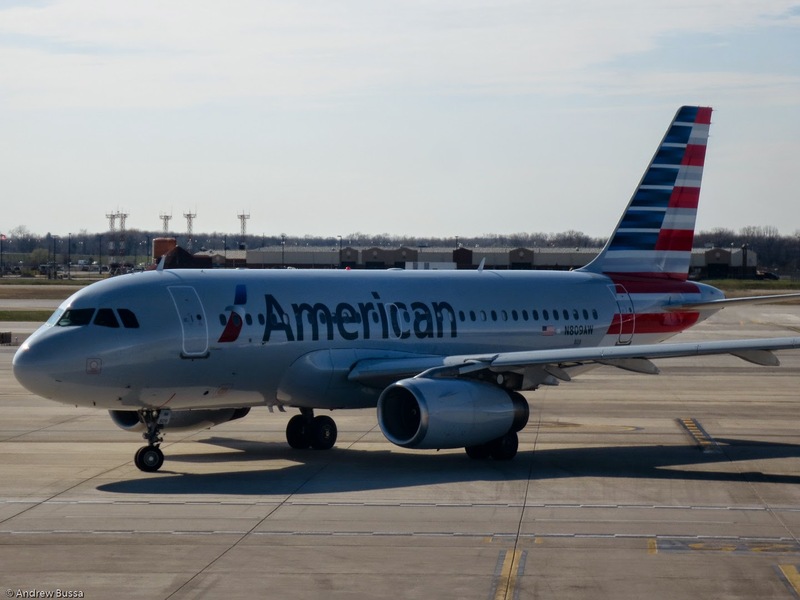 "We hope that by converting our flight schedule to metric time, it will simplify things for our guests and ensure they arrive for their flights with lots of time to spare," said Richard Bartrem. Visit westjet.com/metrictime for more information.